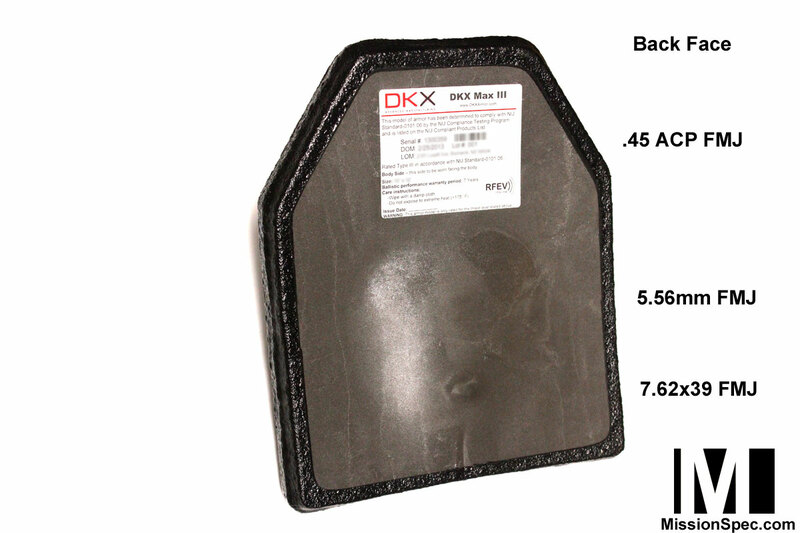 The DKX M3 (MAX III) Series ballistic plates are NIJ 0101.06 level III certified stand-alone. The M3 also stops special, non-armor piercing threats, such as the Winchester Ranger and 7.62×39 MSC. The positive buoyancy of the M3 plates provides users in waterborne or maritime environments added support and flotation, while a rigid polycarbonate backing gives superior blunt force trauma protection. 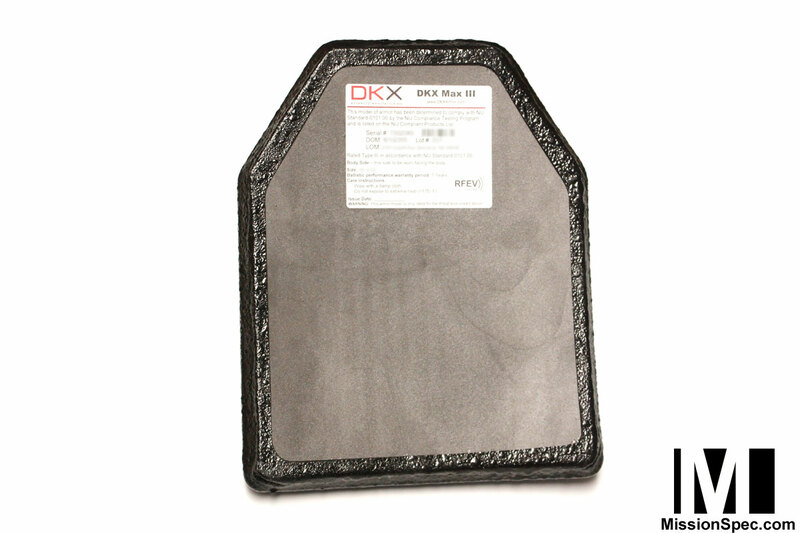 Each DKX M3 Series plate comes equipped with Radio Frequency Embedded Verification (RFEV) tracking for inventory management along with an industry first 7 year warranty. Applies only to certified plate sizes. 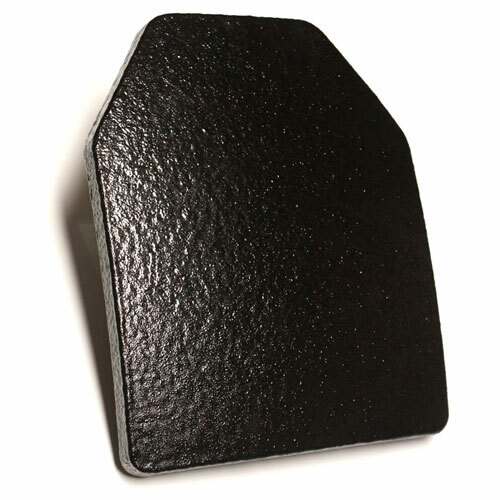 The M3 polyethylene ballistic plate provides its protection by catching and stopping the projectile cold in its tracks. 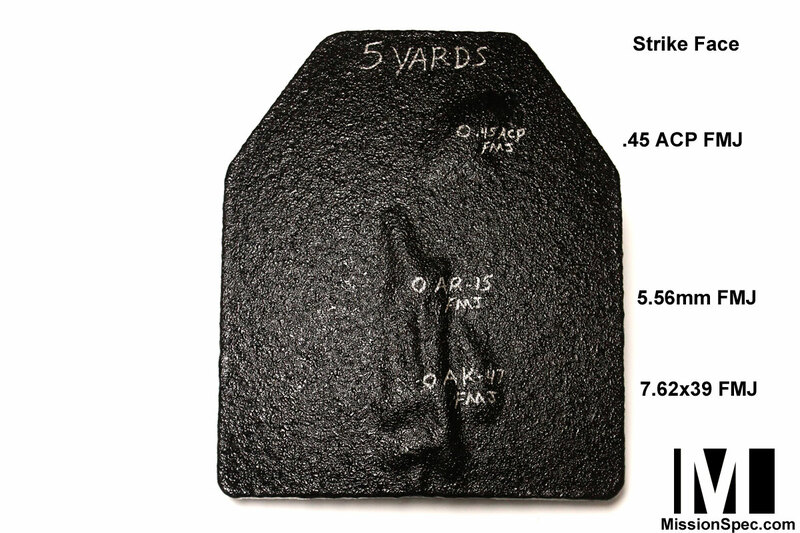 Unlike some other armor systems that rely on fragmenting or deflecting the projectile you are much less likely to have to deal with spalling of the projectile. Drop your M3 plate? No problem. Due to the plastic nature of polyethylene the M3 is drop proof. Click here to see images of the Max III after being struck with .45 ACP, 5.56mm FMJ, and 7.62×39 FMJ from 5 yards [front/strike face] [back face]. Shipping of items may be delayed up to approximately 1 week depending on production schedules. 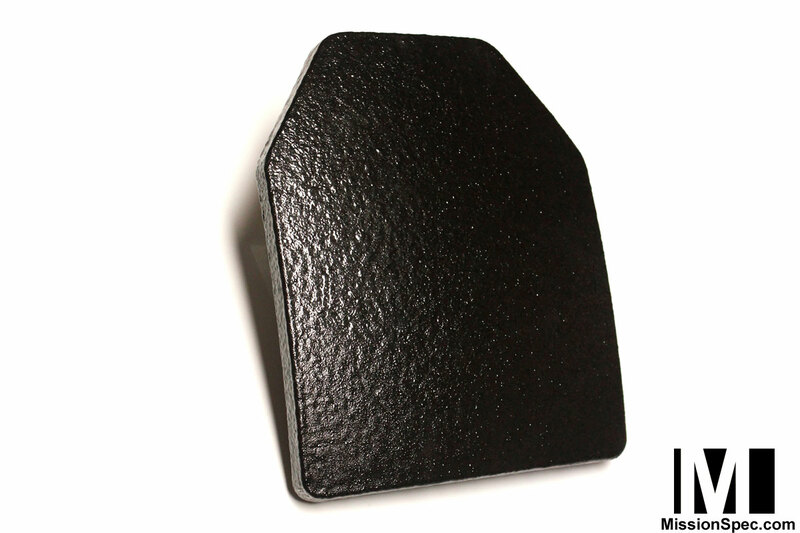 The DKX M3 Rifle Rated Armor is a Stand Alone Level III armor solution unlike any other. This protection weighs in at only 2.9 lbs and even better yet is buoyant (it floats! ).